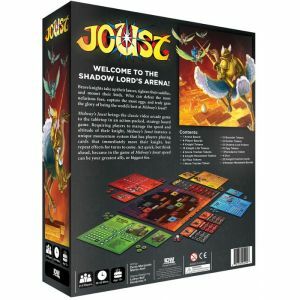 Joust brings the classic video arcade game to the tabletop in an action-packed, strategy board game. 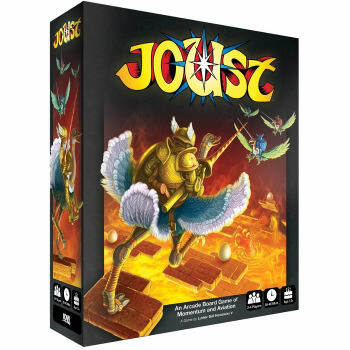 Requiring players to manage the speed and altitude of their knight, Joust features a unique momentum system that has players playing cards that immediately move their knight, but repeat effects for turns to come. 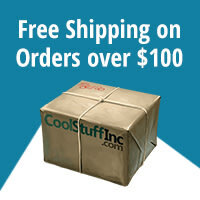 Act quickly, but think ahead, because in the game of Joust, speed can be your greatest ally-or your biggest foe.